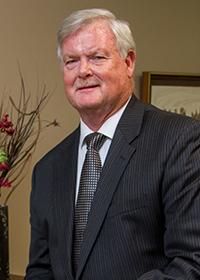 Dr. James T. Galyon is a founding partner of East Memphis Orthopedic Group. He received his Bachelor of Science and Medical Doctorate from the University of Tennessee. 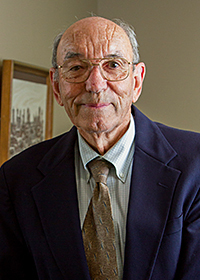 Dr. Galyon was certified by the American Board of Orthopaedic Surgery in 1964. He is a member of the American Academy of Orthopaedic Surgery, the American Medical Association and the Memphis Orthopedic Society. He is on active staff at St. Francis Hospital and consulting staff at Methodist Hospital and Baptist Hospital. Dr. Galyon specializes in conservative treatment of injuries and illnesses. Dr. W. Lee Moffatt did his undergraduate work at Washington & Lee University and is a graduate of University of Tennessee Medical School. He completed his residency in Orthopedic Surgery and Rehabilitation at Jackson Memorial Hospital in Miami, Florida and a fellowship with the AO-SYNTHES Orthopedic Trauma Group in Switzerland. He is a member of the American Medical Association, the Memphis Orthopaedic Society, the Tennessee Orthopedic Society, American College of Sports Medicine and the Southern Orthopaedic Society. He is on active staff at St. Francis Hospital, Methodist Hospital, Methodist Hospital-Germantown and Baptist Hospital. Dr. Moffatt specializes in treatment and surgery of the shoulder, hip and knee. Dr. Peter B. Lindy graduated with a Bachelor of Arts from Yale University and with a Doctor of Medicine from Tulane University School of Medicine. He completed his residency in Orthopedic Surgery at Brown University Hospital in Providence, Rhode Island. He is a member of the American Medical Association, Memphis Orthopaedic Society and Tennessee Orthopaedic Society. He is on active duty at St. Francis Hospital, Methodist Hospital and Baptist Hospital. 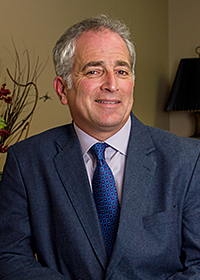 Dr. Lindy has special interest in joint preserving procedures, such as knee and shoulder arthroscopy, hip resurfacing arthroplasty (i.e. Birmingham Hip Resurfacing. MAKOplasty the partial knee replacement and ConforMis the customized knee replacement.